Albert Einstein once said everybody is a genius but if you judge a fish by its ability to climb a tree it will live its whole life believing that it’s stupid. Everyone is unique! We think and learn differently. Evaluations and assessments don’t always tell the whole story. Enter EdTech. 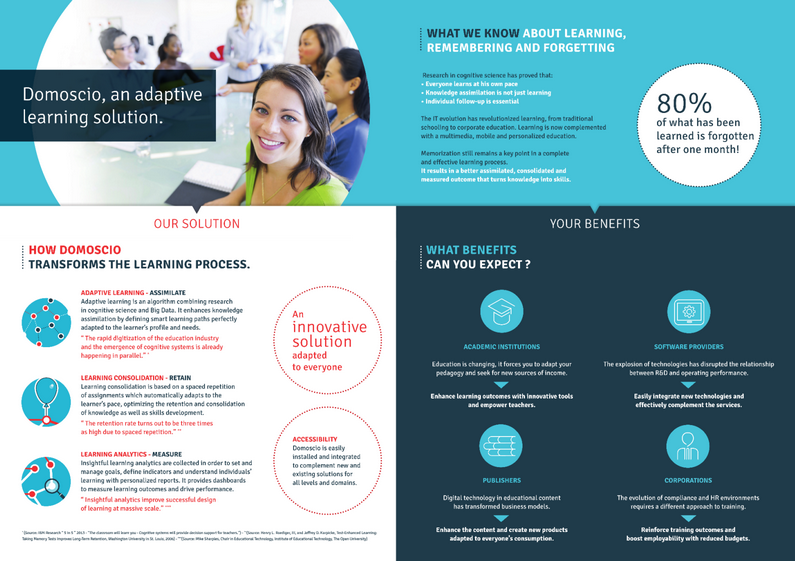 Among the hottest topics and technologies impacting education today is adaptive learning. Big data combined with cognitive sciences can allow each of us to find and become our own genius by personalizing learning. The most recent winner of the Continental Europe Global EdTech Startup Awards is Domoscio, which means “house of knowledge” in Esperanto. Initially financed by crowdsourcing, co-creators Ivan Ostrowicz and Benoit Praly developed algorithms to create an adaptive learning solution. 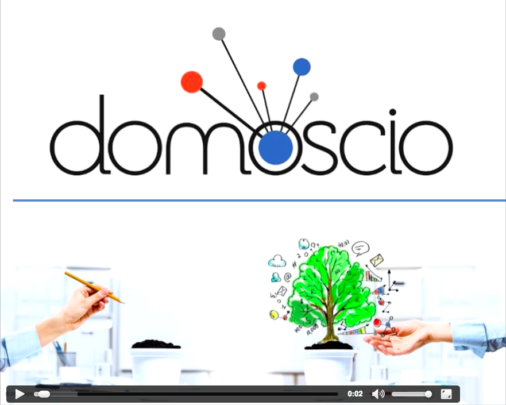 Thanks to the awards Domoscio raised 250 thousand euros to expand their international reach. 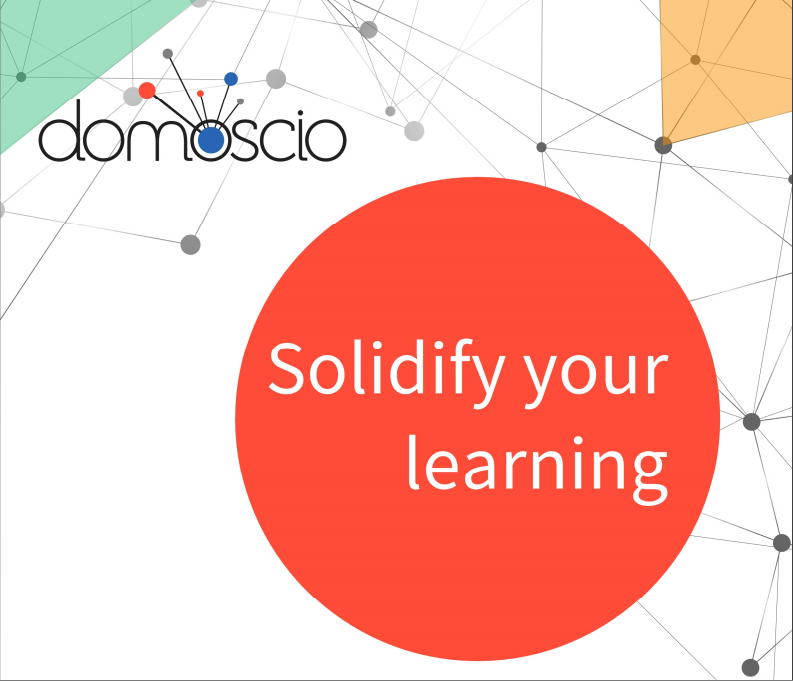 With the idea that the learning process is completed in three phases: Learn, Assimilate and Apply, Domoscio believes improved learning and performance outcomes can be achieved ifthe learning is better assimilated and solidified. Their solution has three components. 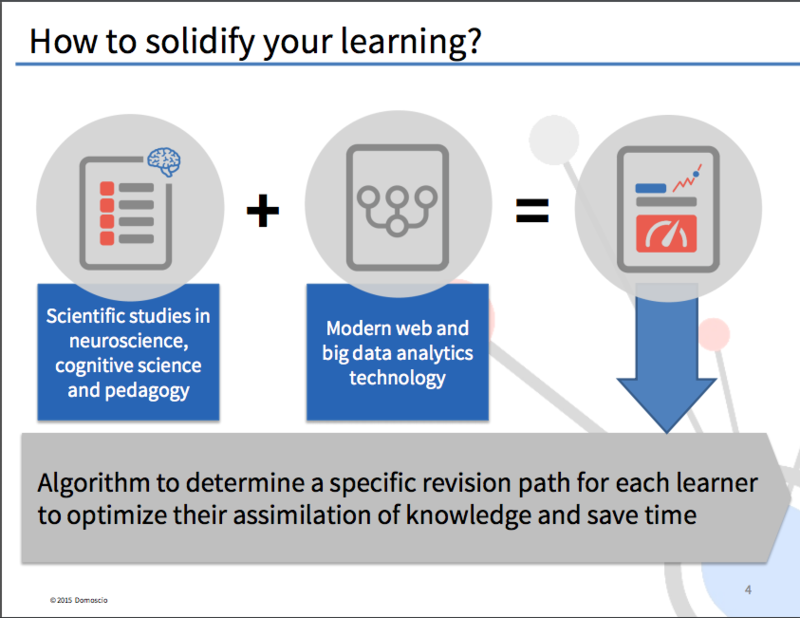 An adaptive learning algorithm uses data collection and applied cognitive sciences to create a learning path for each person. A learning consolidation algorithm determines what you already know and identifies gaps. An analytical dashboard allows administrators and students to measure outcomes, determine learning impact, highlight progress, and be alert to risks. 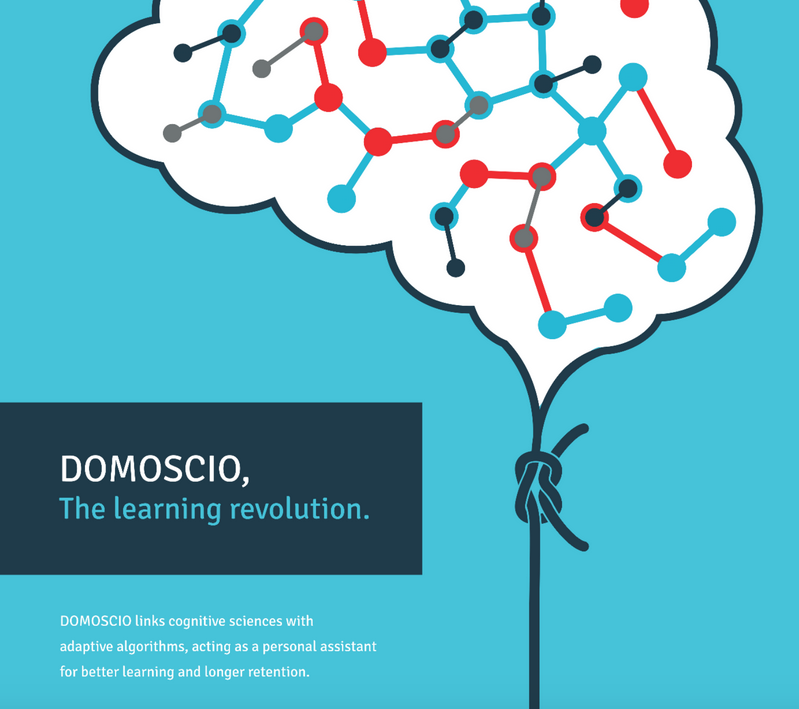 Using Domoscio, the learner retains 20% more after one week and cuts test review time by three-quarters. 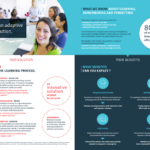 Universities, corporations, publishers, and software providers find it easy to integrate this adaptive learning software into their learning platforms or systems. 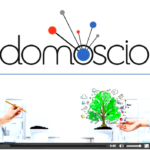 Domoscio makes it easy for any organization or institution to personalize the learning experience for all. This is a company to keep your eye on! Receiving 3rd place in the Learning Assessment Award category at University of Pennsylvania’s Reimagine Education 2015 awards, Domo scio means “the house of knowledge” in Esperanto. 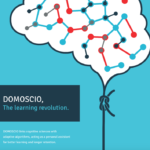 Initially financed by crowdsourcing, Domoscio developed adaptive learning and memorization algorithms to create a solution focused on knowledge acquisition. 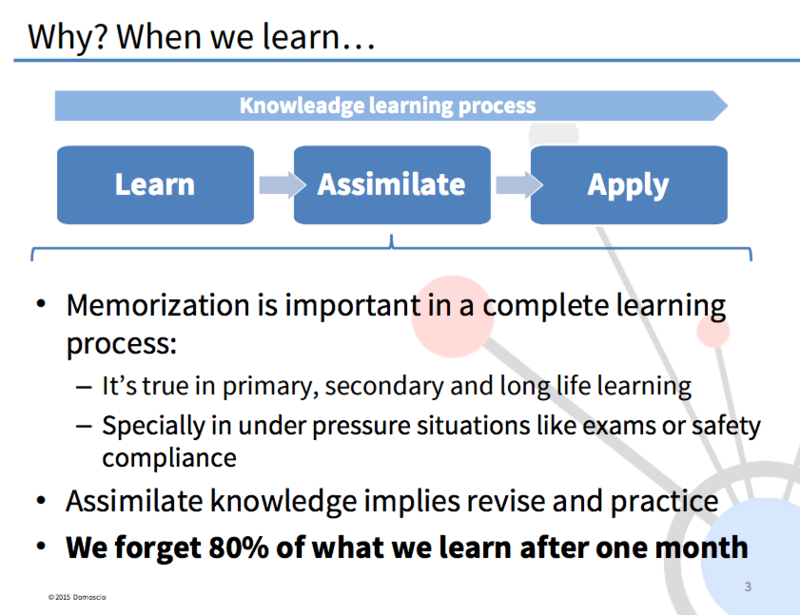 With the idea that the learning process is completed in three phases: 1) learn, (2) assimilate, and (3) apply, Domoscio believes improved learning and performance outcomes can be achieved if the learning is better assimilated and solidified. Adaptive content: When a student gets something wrong, the tool responds with feedback that’s based on that student’s specific mistake. The tool provides materials to review the relevant skill. It also breaks down skills into smaller pieces for students without changing the overall sequence of skills. Adaptive assessment: These tools change the questions a student sees based on their response to the previous question. The difficulty of questions will increase as a student answers them accurately. If the student struggles, the questions will get easier. Adaptive sequence: There’s a lot going on behind the scenes with these tools as they are continuously collecting and analyzing student data to automatically change what a student sees next; from the order of skills a student works on, to the type of content a student receives. A solid adaptive learning system uses data collection and applies it to cognitive sciences. 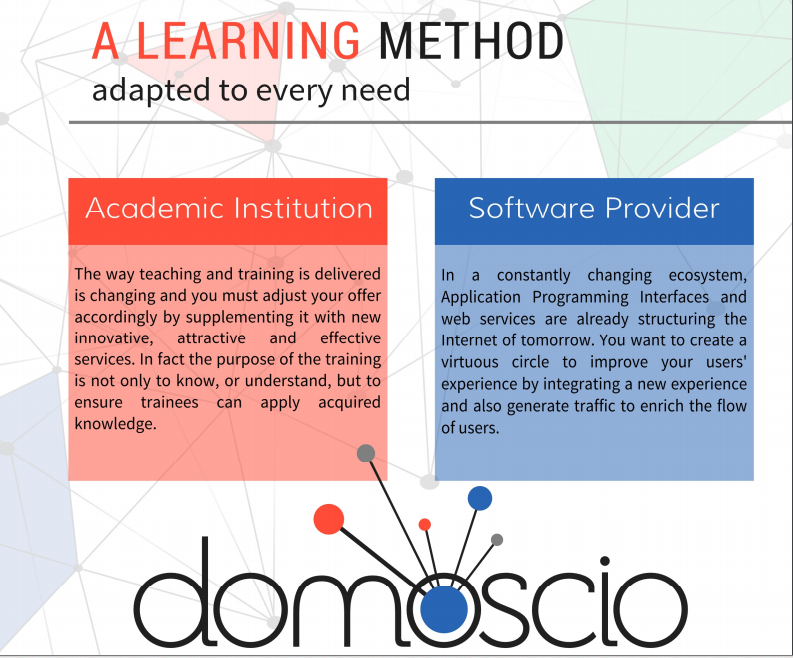 Domoscio’s algorithm creates a learning path for each person. By providing two other components within an adaptive learning system, the teaching and learning environment is fully transformed. 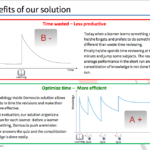 Consider the value two additional capabilities brings and why this system is award winning. 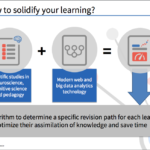 Learning consolidation: an algorithm designed not for learning but for determining what you already know and identifying gaps. Analytical dashboard: for administrators and students to measure outcomes, determine leaning impact, highlight progress and be alert to risks and struggles. An initial evaluation is conducted and a revision plan is organized for each learner. 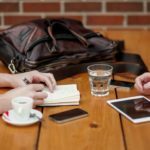 It allows the revisions to be spread out over time to increase retention. 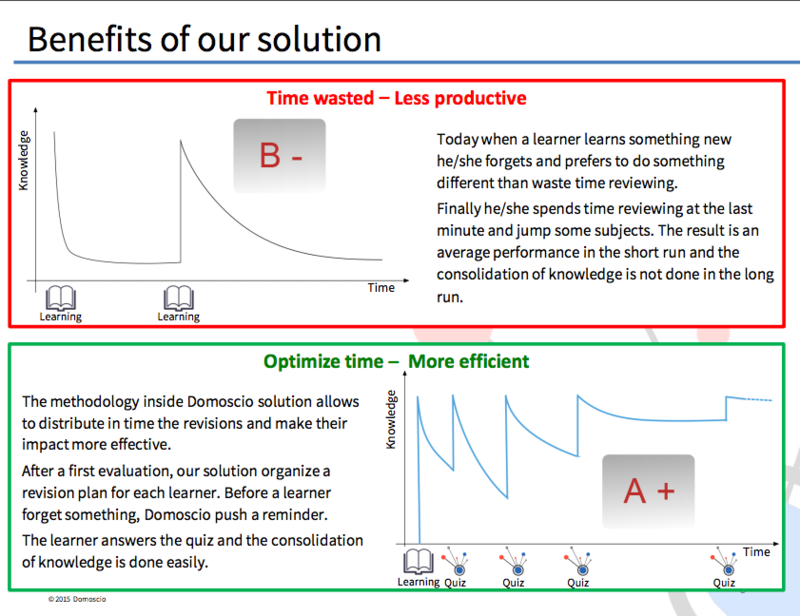 Using Domoscio, the learner retains 20% more after one week and cuts time for the reviewing process by three-quarters. Domoscio has most recently completed a project to test their “re-learning” solution, which is intended to aid in remediation. 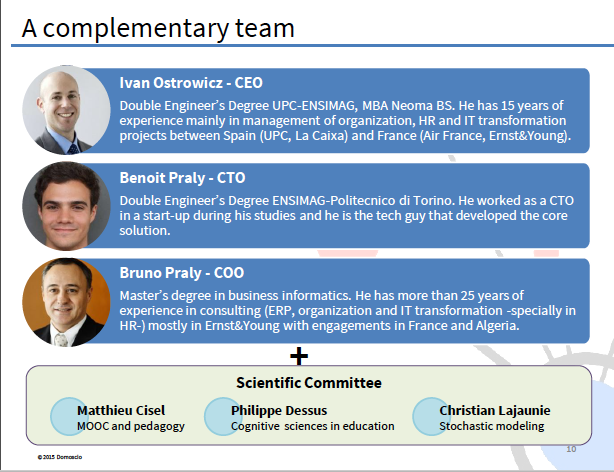 Recognized as one of the seven most innovative start-ups in the 2014 Open Education Challenge organized by the European Commission, Domoscio was designed specifically to complement current players in the education space. They are not an LMS, content provider or training group. They are an adaptive learning solution that can be used as a stand-alone web application or integrated by content editors, software providers, academic institutions, corporate training departments, teachers and students. 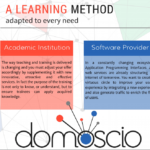 With API integration components, Domoscio prides itself of being a good technology partner to software companies, pedagogical partner to academic institutions and a business partner. Current partnerships include well-known companies such as Samsung, several academic publishers and the French Ministry of Education. 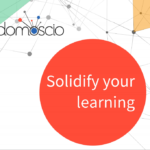 Domoscio is designed for any age learner: K-12, higher education, and corporate training. 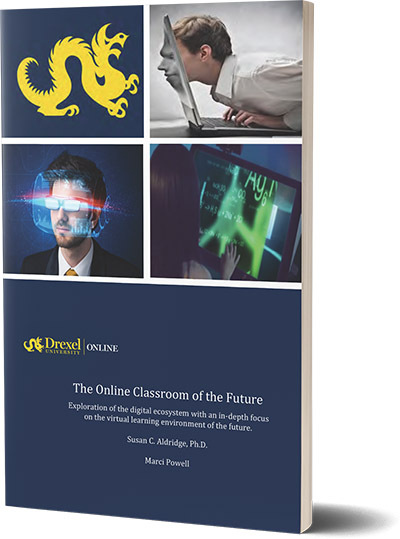 In the near future, they intend to make the solution work in the MOOC environment.